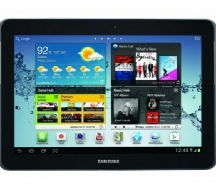 If your Samsung Galaxy Tab 2 10.1 (GT-P5110) has a broken screen Mountain Stream are here to repair your tablet for you. Prices are inclusive of parts and return standard postage or personal delivery. For other Samsung Galaxy Tab 2 10.1 repairs please request a quote by email, phone or by using our enquiry form. ALL PRICES BELOW ARE INCLUSIVE OF PARTS, LABOUR AND RETURN OF YOUR SAMSUNG TAB 2 10.1 (GT-P5110) IN PERSON OR BY POST. PRICES DO NOT INCLUDE ANY PRE-REPAIR DIAGNOSIS. FOR A PRICE ON REPLACING ANY OTHER SAMSUNG GALAXY TAB 2 10.1 (GT-P5110) COMPONENT PART PLEASE CALL, EMAIL OR USE OUR ENQUIRY FORM.